Rockit Media was a personal project made to compete with FYE.com. 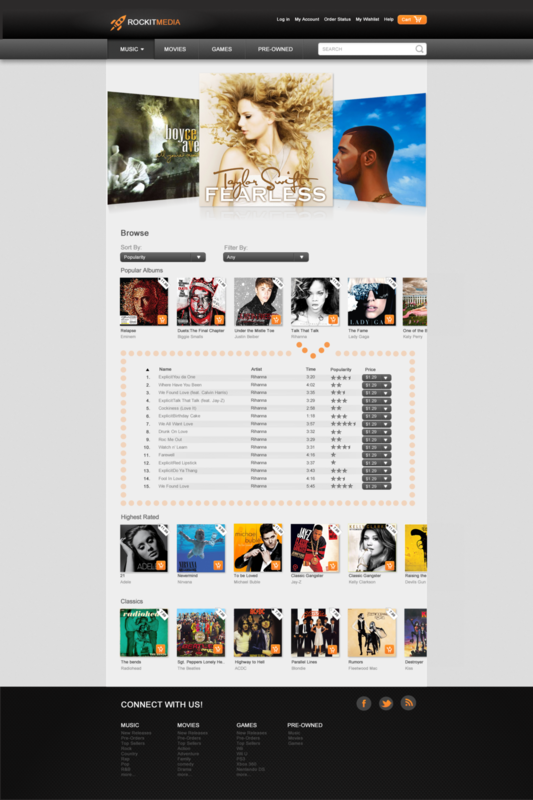 Some of the aesthetics were inspired by iTunes and my attempt to recreate Apple's famous user interface design. 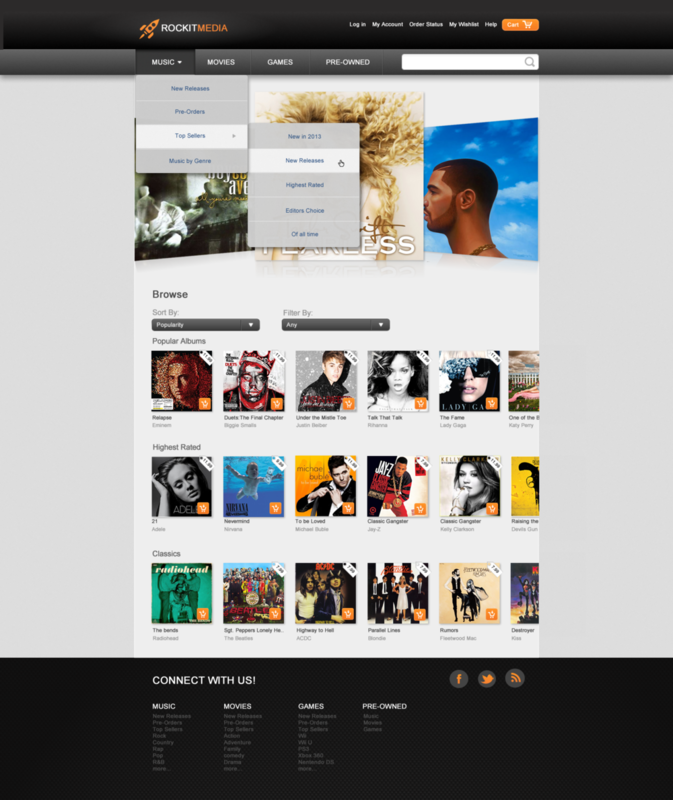 I wanted to reduce shopping cart abandonment by allowing the user to access additional information about the music album without being re-directed to a separate webpage.